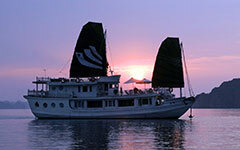 Vietland Holidays is a Vietnamese company with our head office based in Hanoi. We also have offices in Saigon and Hoian and our own operational offices in Siem Riep, Cambodia & Vientiane, Laos & Bangkok, Thailand, Myanmar. 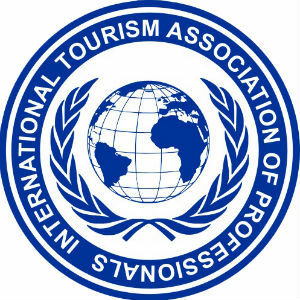 We are known as Vietnam's specialist tour operator to Vietnam, Laos, Cambodia, Thailand & Myanmar with extensive itineraries to each of these regions. Vietland Holidays offers tailor-made holidays, Tour Group Journeys and operates in Vietnam, Cambodia, Laos , Thailand & Myanmar.. This 14 day tour covers the whole Vietnam, especially it includes Long Tan Cross, which is the Australian Mermorial in Vietnam: Many War veterans have come back to this site for commenmoration of the battle on 18th August 1966. Sapa is a hill station which was built by the French in 1900, and locates at the high latitude of 1650m above the Sea level. 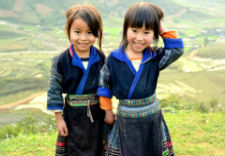 Sapa is very famous for its beautiful mountainous landscape, the terrace rice fields, the hill tribes, the valley, the waterfalls. Pay your respects at the Coral and Balmoral battle sites and take in countryside vistas few Australians have seen. Learn the secrets of the old Sai Gon in Ho Chi Minh City. Venture to the Cambodian border where the US ended its involvement and the Vietnamese directed the campaign to take Sai Gon. Visit the Rung Sat - the Killing Jungle - eco tourism at its best and the one-time base for the legendary 10th Sapper Regt. Enjoy a free flowing sojourn in the old Phuoc Tuy including a gathering at the Long Tan Cross on 18 August. 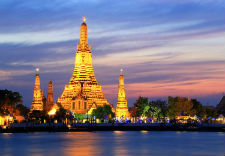 This itinerary focus on 4 cities of both countries, Vietnam & Cambodia. You will explore Hanoi, HCM City, Phnom Penh, Siem Reap in only 13 days. TOUR HIGHLIGHTS This Vietnam Tour covers the best highlights in Vietnam, you will visit the best cities and famous World's Heritage Sites in Vietnam: Vietnam is a long country, you at least need 10 days or 2 weeks to visit the whole main cities . You can arrive in Hanoi or Saigon, but this tour , we modify a tour starting from Saigon (HCM City) and you will fly out in Hanoi , covers all the best highlights in Vietnam. Dalat and Nha Trang are very popular places in the South Vietnam, you can see the hill stations with many French influent buildings, and also the green cover in the mountain, amazing waterfalls. After Dalat, you will go down hill for the beaches. Nha Trang is the best beach in Vietnam with a long sandy beach. 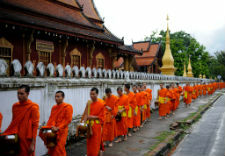 Immerse yourself in the cultures of Cambodia and Laos on a 13-day tour through these beautiful countries. 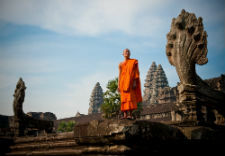 Explore the incredible Angkor complex, experience rural life with a local family, admire the French-style architecture of Phnom Penh and pay your respects with a visit to the Killing Fields. Then head to Laos and tour the breathtaking scenery around Vang Vieng before finishing up in the atmospheric city of Luang Prabang. Discover the whole Vietnam, if you are Vietnam Veterans, the tour will take you to Vung Tau for the former base of Long Tan, Nui Dat. 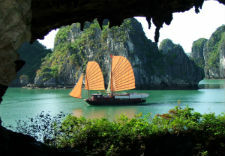 Halong Bay is a must see destination when you visit Vietnam, it is one of new 7 World's Wonders, and listed by UNESCO as a World's Natural Heritage in 1994 for its beauty and eco-system. 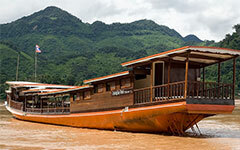 This place covers an area of 1,500 km2 and locates in the North East of Vietnam. There are over 3,000 limestone islands and islets rising in the sea water. 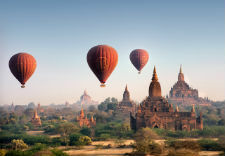 This 10 day trip covers the best highlights in Myanmar, you will visit 2 major Cities and the best national heritages of Burma. This trip takes you to the rural sates of Myanmar, and East of Yangon..
Tam Giang lagoon has 24 kilometers length with an area of 52 square kilometers in Hue. Stemming from Thuan An harbor, small boat sweeps on O Lau river along the length of the lagoon. Phong Nha Cave is a cave in Phong Nha-Ke Bang National Park, a UNESCO World Heritage Site inQuang Binh Province, Vietnam. Son Doong cave is world's largest cave, located in Quang Binh province, Vietnam. The Valley of love is one of the most scenic sights in Da Lat, about 5 km north of the city center. The Shinta Mani Resort is a newly renovated boutique property centrally located in the leafy French Quarter between The Royal Gardens and the Old Market Area just 15 minute from the Angkor Wat. The courtyard-style resort’s 62 rooms & Junior Suite enjoys a surprisingly different “Bensley twist” with direct access or first floor balcony views to the stunning swimming pool and flourishing tropical gardens. Vinh Hung Riverside Resort & Spa is a well-known resort in Hoi An, one of the famous World Heritage Sites in Vietnam. The luxury resort is located on the bank of the romantic Thu Bon River in secluded gardens but is also a short 5 minutes walk from the Old Town. Staying at Vinh Hung Riverside Resort will make your time in Hoi An even more memorable. The Vinh Hung Riverside Resort & Spa offers its guests luxury and gracious hospitality in a traditional Vietnamese environment. Conveniently located in the heart of the Hanoi’s central business district, Mövenpick Hotel Hanoi is approximately 40 minutes drive from Noi Bai Airport and only 5 minutes from the city centre. With its distinctive French architecture as well as excellent services and facilities, Moevenpick Hotel Hanoi is specially tailored to meet the needs of discerning corporate travellers. Savour a 5 star hotel experience with the best views in the city. Sofitel Plaza Hanoi Hotel enjoys a spectacular location rising up between the watery expanses of Truc Bach Lake West Lake and the Red River with inspiring uninterrupted panoramas. Gaze out upon magnificent vistas from the frameless panoramic windows of each luxury hotel room and suite. Sofitel Plaza Hanoi Hotel is best 5-star hotel with discount rates on hotels-in-vietnam. Welcome to Hotel Metropole Hanoi, luxury Sofitel hotel in Vietnam. The Metropole Hanoi is an award-winning French colonial-style hotel lying in the heart of Hanoi, near Hoan Kiem Lake and the magnificent Opera House. 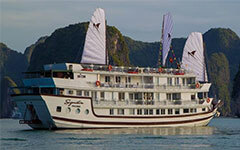 Dragon Legend is the newest member of Indochina Junk luxury cruise fleet operating multiple-night cruises on Bai Tu Long Bay, a beautiful, less crowded area of Ha Long Bay, Vietnam. 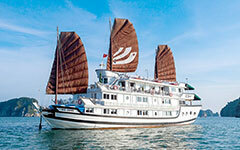 With 24 cabins, the most modern facilities and outstanding service standards, Dragon Legend will make your cruise the highlight of your trip in Vietnam. 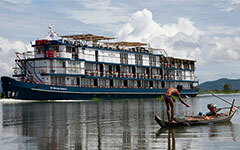 Anawrahta-The Great King, With the largest cabin space on the Ayeyarwady, and the highest crew to passenger ratio, The Anawrahta offers the finest on-board experience in Myanmar. 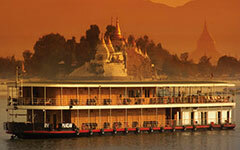 This impressive vessel is named after the founder of the Burmese nation, modern day Myanmar. During his reign, from 1044-1077, he introduced and spread the religion of Theravada Buddhism throughout the land. 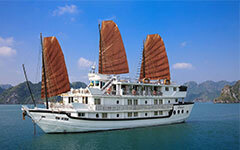 Signature Halong Cruise is fast becoming one of the most sought after cruising experiences on the Gulf of Tonkin. 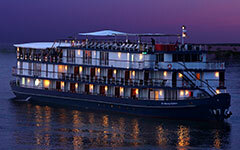 Being hailed as one of the largest vessels in the area, we also offer some of the largest suites and best facilities. Our main concern onboard our cruises are the safety of our passengers and the threat to the surrounding environment. We also support the local community through offering jobs to local staff and supporting the local community to our highest capacity.